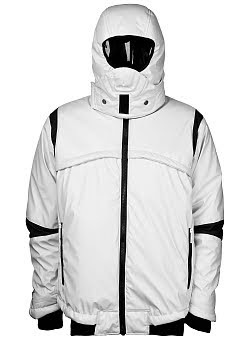 Star Wars Limited Edition Storm Trooper Jacket by Marc Ecko. Zip-front with detachable, lined hood that features a visor front and snap-close neck. Detailed with underarm zippers and two contrast color zip-close pockets. Two hidden pockets inside and Imperial Storm Trooper patch inside. 100% polyurethane. Dry clean. Imported.